Upstream iPhone suppliers are preparing to ramp up production to between 120 million and 150 million units in the second half of Apple's fiscal year 2017, analyst Ming-Chi Kuo of KGI Securities revealed on Tuesday in a note to investors, a copy of which was obtained by AppleInsider. If those numbers hold, that could blow past the previous peak of between 110 million to 120 million that suppliers prepared for at the launch of the iPhone 6, which remains Apple's best-selling handset ever. In Kuo's view, a combination of factors suggest Apple's 2017 upgrades will lead to "unprecedented replacement demand," led by a new high-end OLED model that is expected to feature an all-new design and "notably superior specifications" from a pair of new models with LCD screens. Kuo also has high hopes for the new 4.7-inch model with LCD, however, predicting that the addition of a glass back and wireless charging will make it the company's new mid-range handset, appealing to a wide swath of consumers. 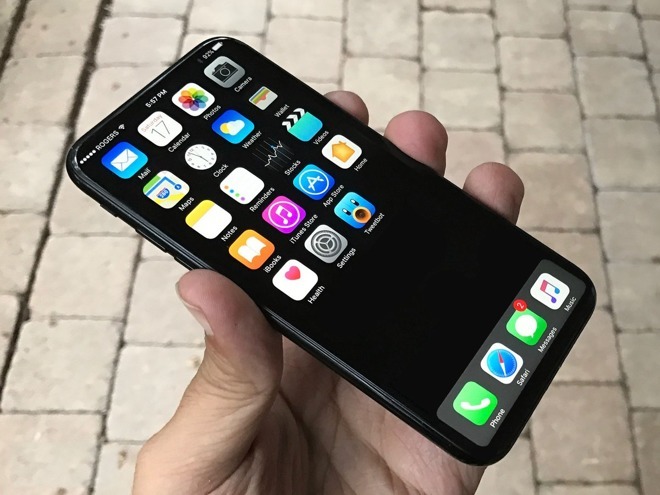 But the jumbo-sized 5.5-inch iPhone Plus series is predicted to be cannibalized by the new flagship OLED model, which is said to feature a screen size measuring somewhere around 5.1 or 5.2 inches diagonally. Earlier this month, Kuo indicated that both the 5.5-inch Plus and slightly smaller OLED "iPhone 8" will feature dual-camera systems. But it is not expected that the 2017 4.7-inch "iPhone 7s" will gain a second camera, as was introduced on the iPhone 7 Plus. 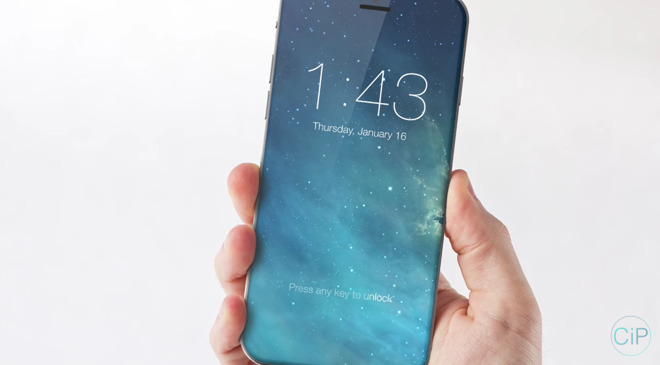 The flagship OLED iPhone is believed to celebrate the 10th anniversary of Apple's revolutionary handset. Reports have suggested the design shakeup will enable Apple to embed key features —including the FaceTime camera, earpiece and Touch ID fingerprint sensor— beneath the display, boasting a truly seamless edge-to-edge design. Kuo has an extremely strong track record in predicting Apple's future product plans. He accurately weighed in on the 3 gigabytes of RAM in the iPhone 7 Plus A10 processor in November of 2015, followed up with details on Apple's new dual-camera system for the iPhone 7 Plus in January of 2016, and also nailed the details of the second-generation Apple Watch in April. He was also the first to reveal that Apple's new MacBook Pro models would feature an OLED Touch Bar and Touch ID and would launch in the fourth quarter of this year, and he also correctly forecast that a new entry-level 13-inch MacBook Pro would replace the outgoing MacBook Air.